Our friend Barbie has opened a YouTube channel to share her beauty secrets with all her followers. One of the most popular videos of the moment in the beauty vloggers are the Get ready with me. They teach you how to prepare themselves to go out, from the makeup to the clothing, going through the hairstyle. Barbie has prepared a video exactly the same, so we can learn how she prepares for any day. The first will be to apply facial care and makeup. Once finished, it will be the turn of the hairdresser and we will help you to make the plates. Finally, we will help you choose a nice look by choosing between the clothes you have in the closet. 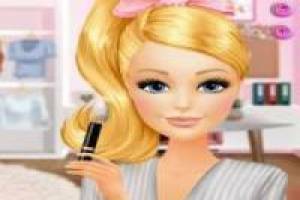 Write down Barbie' s beauty tricks and be like her. 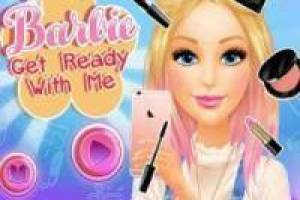 Enjoy the game Get Ready With Barbie, it's free, it's one of our barbie games we've selected.